Eamon Dolan/Houghton Mifflin Harcourt, 9780544086616, 352pp. Just as polio loomed over the 1950s, and AIDS stalked the 1980s and ’90s, posttraumatic stress disorder haunts us in the early years of the twenty-first century. Over a decade into the United States’ “global war on terror,” PTSD afflicts as many as 30 percent of the conflict’s veterans. But the disorder’s reach extends far beyond the armed forces. In total, some twenty-seven million Americans are believed to be PTSD survivors. Yet to many of us, the disorder remains shrouded in mystery, secrecy, and shame. 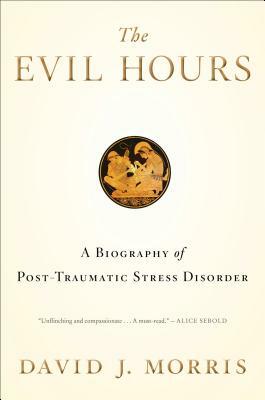 Now, David J. Morris — a war correspondent, former Marine, and PTSD sufferer himself — has written the essential account of this illness. Through interviews with individuals living with PTSD, forays into the scientific, literary, and cultural history of the illness, and memoir, Morris crafts a moving work that will speak not only to those with the condition and to their loved ones, but also to all of us struggling to make sense of an anxious and uncertain time. DAVID J. MORRIS is a former Marine infantry officer and war correspondent. His work has appeared in The New Yorker, Slate, Daily Beast, and Best American Nonrequired Reading. In 2008, he was awarded a creative writing fellowship from the National Endowment for the Arts.